Alarm Cables -Manufactured in accordance to the new BS4737-3.30, introduced in 2015, which has been designed to regulate cable quality and ensure that only BSI recognized cables are used in security installations within the UK. 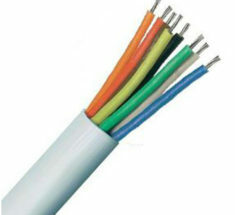 Category also includes Belden Equivalent cables often used on Alarm and access control systems. Alarm cable Type 2 - 7 Strands of 0.2mm This premium Alarm Cable is generally used for connecting alarm equipment such as sensors, control panels and other low voltage circuits. 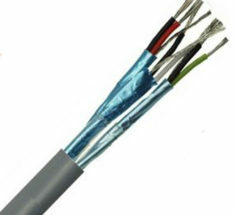 Budget Alarm Cable Type 3 (TCCA Range) Construction: TCCA Conductors with colour coded PVC insulation and a choice of PVC, LSF, PE or DB outer jacket Performance Requirements: Maximum resistance value of 155 Ohms/km.